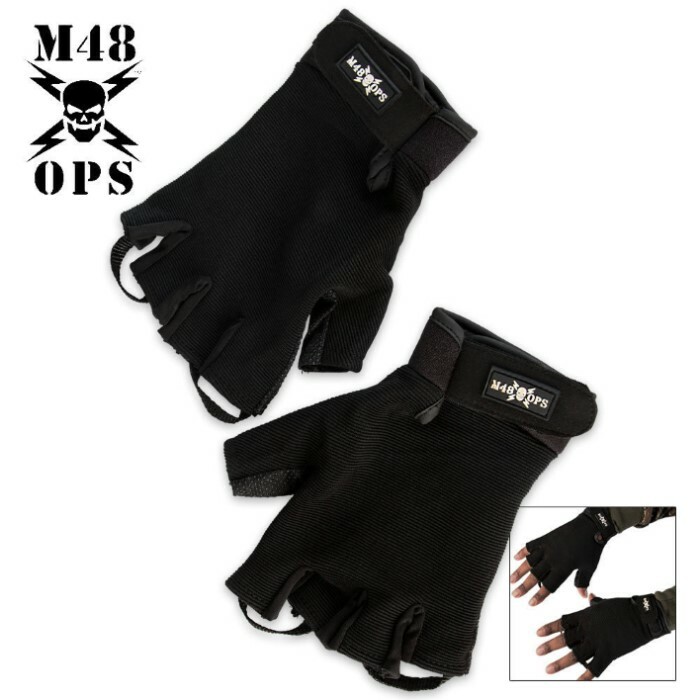 M48 Half Finger Gloves Black | BUDK.com - Knives & Swords At The Lowest Prices! 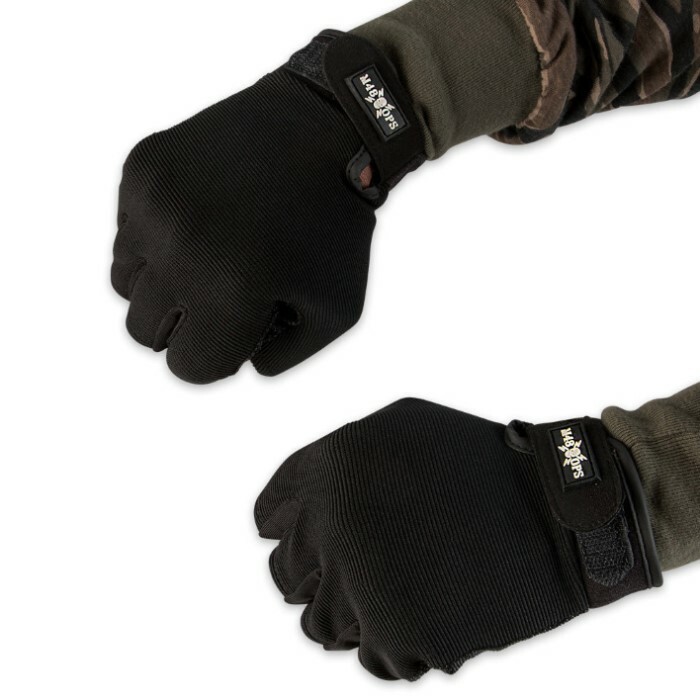 The M48 Ops Half Finger Gloves are military quality black gloves that you can count on to fit comfortably and securely. 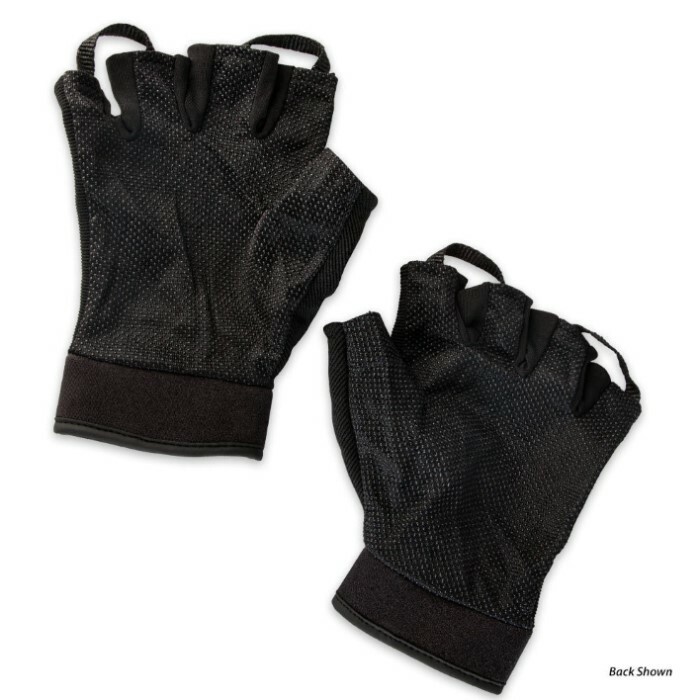 The sturdy construction offers a slip-free grip and they are full adjustable with a Velcro closure. Whether you're riding or using them for airsoft and paintball, these lightweight gloves will do the job.